I have read much about how indie writers should not sell their books and I agree that many of the methods some writers use are crass. One should not make a direct appeal to blog followers by promoting their book. God forbid they might actually enjoy your story. So I will henceforth not make direct appeals. (Though of course if you want to visit my Amazon page-a link is provided below. Or if you want to visit my website, that link is also provided below). Nor will I cater to your sensitivity to animal cruelty, despite the fact I have a cat that was rescued from an abusive owner. Yes I give her, of the sadly soulful eyes, treats and yes I frequently pet her softly as she sits in my lap purring loudly with contentment. She follows me everywhere, as does my devoted spaniel, another rescue, who limps behind me with the cat shouldering the spaniel so she will not fall over. No, I can not prey on your heart. Nor do I wish to use my disarming news of my doctor’s assessment that I have six months to live because of incurable athletes foot. I have gotten three second opinions and they all agree neither surgery or amputation will amend the problem. I will await my fate with quiet dignity. Though what fate my teary eyed cat and, for all intent, a three legged dog, will meet without resources gained from the sale of my books, is unknown. No, I will not, do not wish, to ever sell books that way. Nor do I desire to use my service as a Vietnam War veteran, a victim of agent orange and that war stress syndrome thing, whatever it is called. Despite my having saved dozens of South Vietnamese children from mass murder, an action that won me a prestigious medal, no I can not use that to sell books either. (Mainly because I flunked my physical and was unable to serve my country). Nor will I offer free books for positive reviews, nor will I pay for reviews. No, I can do nothing of the sort. I will do only what is left to do. And that is nothing, but just sit and twiddle my thumbs. (Both of which were broken by neighborhood bully). Every writer get rejected. You either continue to submit queries or you quit. The third choice is to go Indie and self publish either in print or in digital e-books. In a recent blog from Anne B. Allen and Ruth Harris some reasons I had not thought of were given. Agents want to make money, but first and foremost I think they want to make publishers happy by getting them the type of books they want, whether you story is well written or not. But anyway here is the link to her blog. It is worth the read. The ten reasons come from an editor by the way. Reasons 4, 5, 7 and 9 are my favorites. You just never know. There is a desire within myself to be a more literary writer, whether D.H. Lawrence, John Steinbeck, F. Scott Fitzgerald, Phillip Roth, John Updike, or any of a hundred or so others. There are great writers in each generation, so many to choose from. But it is not my nature. I can’t write that way, trying to do so would end in failure. Just as Stephen King and Dean Koontz can not help but write the stories they do, neither can I. Two reviews I have had on Amazon both refer to my Hollywood noir style in Loonies in Hollywood, an e-novel about the murder of silent film director William Desmond Taylor. 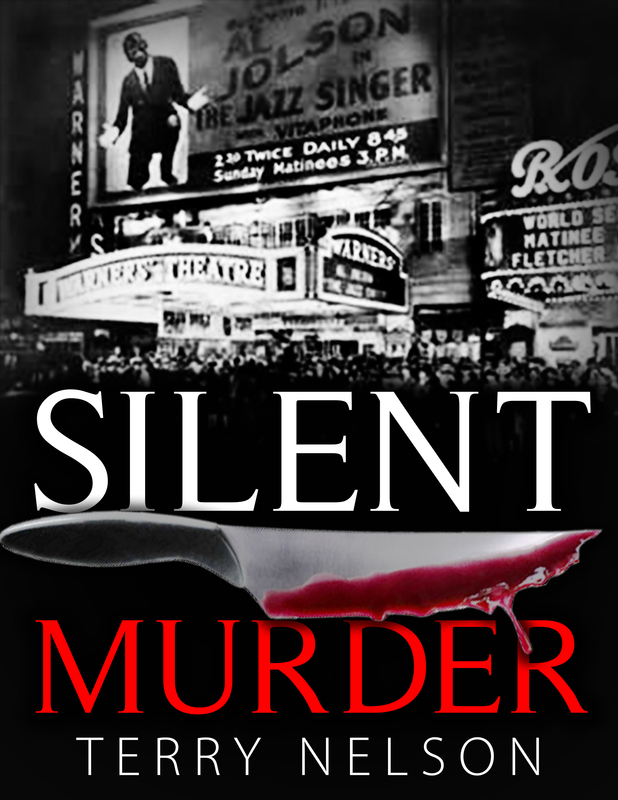 It is a fictional account of a true story and my character, Chet Koski, solves the murder . . .sort of. (I know I am ending a sentence with a preposition, something we have been told not to do, but that rule is disappearing, the reason being it makes no sense-not ending the sentence with a preposition, but the rule itself. But I digress; and it is fun to do at times, so there. Back to the point. In my two e-novels I inject the stories with humor because I see the looniness of situations, of people, of life. It is not ridicule, but you can look at life and all the bad things and let it drag you down, or you can see the silliness at times. Just as they say ‘You are what you eat,’ so it is true that you are what you write. Even in my collection of short stories that is in the horror genre, one reviewer said they are Twilight-Zone stories, and I can not help myself ; I must inject humor in some of the stories. Notice I said some. There are stories without humor, so I can do it. But then again they are not literature. If I could write a short story it would be “A Rose for Emily” by William Faulkner. It is one of the best short stories written. So I am stuck being me, am stuck eating what I eat, and stuck writing what I write. I am a prisoner to myself. I am loony and I can live with it. My advice to other writers is to write who you are. After all, you can’t help being you, so relish who you are.